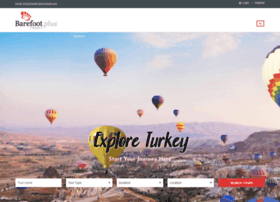 BarefootPlus Travel agency specialized in tailor-made tours, so you can experience Turkey your way! Create your personalized trip in our website. Hosting company: InMotion Hosting, Inc.